Tukaraq is winning trophy for Biixi, and is what will make Gaas lose this election!. Where is bakhbakhdii laga seexan waayey ee Puntland, mee Dagaalki Qarniga ee Camey iclaamiyey? Weli waqti yar oo Gaaa isku xoreeyo/sharfo baa u hadhey, hadii Jan 2019 la gaadho, dawooyinkiisa ha sii xambaarsado. sariirna ka raadsada dhaqtarada waalida ee Maraykan ka. Like I argued many times here, the best deal for Garowe is to accept the IGAD/UN brokered deal. The alternative is very dire for Garowe. I think Bixi and Gaas should travel to Djibouti and find a way to live together and stop any kind of fighting. You don't fight over small things while major changes are going on around you that can change everything. I know its bitter, but its better to lose to your brother, which you can get back in the future than lose to outsiders that you never get back before many generations have passed. Pretty soon either the UAE Qatar will make up or Somalia will change side to UAE. Everything is moving in that direction and fast, very fast. Huge, nagadaa. Majority of that was his crew. Las Anod was on lockdown since the night before. Mashallah. Reer sool welcoming their leader Muuse Biixi Cabdi. Cabdi wali cawaro is on suicide watch. He spend the night in Las-Canod, slept there at the government house. Talked to the "movers-and-the-shakers", as well as all the "great-and-the-good" of this particular community of Sool region, all throughout the night. And today he is off on his way to Sanaag region, where he went first to Gar-Adag, and then to Ceel-Afweyn. And he is on his way to Ceerigaabo (where he will be there soon). And afterwards, he will be off again to Eastern's region of Sanaag, such as Badhan, Dhahar, and Hadaaftimo. But the interesting point you need to contemplate on in here is will we see the day the likes of Mr Cheeseman or that "donkey-legged-looter" by the name of Mr Kheyre can take a car from Xamar and then go to Afgoye first and then to Marka, whilst also stopping along the way in Barawe. And finally ending up in Kismayo. Or even take a "convoy of cars" and then go to Buur-xakaba on their way to Beydhabo. And then to Xudur in Bakool region. Whilst ending up in Gedo's Garbaharey district, as the final point they have reached in their travel of their country. However, since I know (and you know) that you are better off in waiting for the "lottery ticket" to turn up with millions of cash for you than the idea of seeing these fellows in Villa Somalia travelling the length and the breath of their "alleged country" in the manner I just described to you, then one wonders what racket of a government do these lot in Villa Somalia run under their name? And what do you reckon that government is worth, given that it doesn't run the areas it claims to be their government of it? No, lad, you have no argument in here other than your usual looter's silly arguments. And just in case some folks, or some passing looter of a sniffling ninny sort, around here of SOL ever thought that president Biixi wasn't actually around in person in the city of Las-Anod yesterday. And for good measure, he didn't stayed there with the folks of that city last night. niyoow muuse local was a host of the Garaad there and garaad's clan was gaurding him because Muuse said he wanted to talk peace. heavy money was paid. instead of building wells and schools, he is giving cash away to corrupt LA water carriers so that he can visit LA. it is business. give me a break niyoow. jeegaan will never be accepted. he can sleep under the mountain guarded all night if he wants, but nobody will welcome him in the streets waving caleemo qoyan niyoow. I have heard this talk before the election of 2017. And that was dealt a huge blow. Ilowshiiyo dhawaa ma umulbaa. Mise xaalkaagu waa Afnool waa hadlaa, Eyna waa ciyaa. 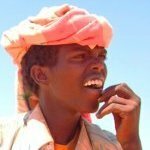 Inkasta oo Suldaanka uu kuu jawaabey, haddana aan ku daro wax yar wixii uu ydhi, ee ma isweydiisey in maanta nin u dhashay beesha "Maxamuud Saleebaan", ama "Bessha Dha-abayaco-guud", ah oo madax ka ah Puntland uu habeen qudha uu "seexan-karo" oo uu awoodo in uu sidaa ka yeelo magaaladda Laas-Caanood. Saaxiib, you can lie to yourself as much as you want. But the fact of the matter is that it's now eleven (11) freaking years and one (1) month the time in which Somaliland have been running the "political show" there in Las-Anod, which is ever since of October of 2007. And yet all these time your "cowardly ilk" have been telling the world (and to themselves) that the folks of this region will not accept Somaliland. And moreover, you may not wish to recalled it but both 2010 and 2017 Somaliland's presidential elections have indeed happened there in Las-Anod. Similarly, the upcoming Somaliland's parliamentary election (whenever it eventually happens) these folks of this region will, literally, "line-up" in the "scorching-heat-of-the-sun" and just to vote for their own MPs in numbers for the Somaliland's parliament in Hargeisa. Now, who is lying to oneself in here, mate? Is it the guy telling you the fact on the ground as they have been happening and likely to happen in the future, if the past is any indication in here? Or is't the guy, like you, who thinks that Pirate-land will presumably "liberate" this region, even if it's going on in more than a "decade" the time in which Somaliland has been running the political show there?